STICKERS are one of my favorite things to stuff in my purse every day and one of my toddler's favorite things to stick everywhere! 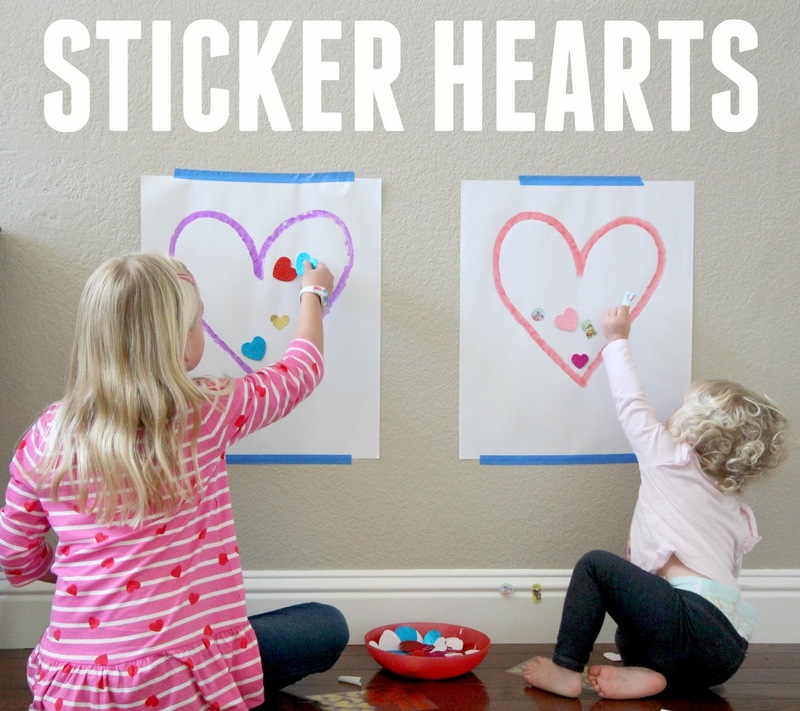 We shared several of our favorite simple Valentine's Day activities for toddlers yesterday and today we wanted to add another one to that list- Sticker Hearts!! Do you remember our Sticker Trees at Christmas? They were a HUGE hit with my toddler, so I thought we'd better bring them back for our favorite love filled holiday! To set up, just tape your easel paper to the wall and then draw a giant heart on each paper. 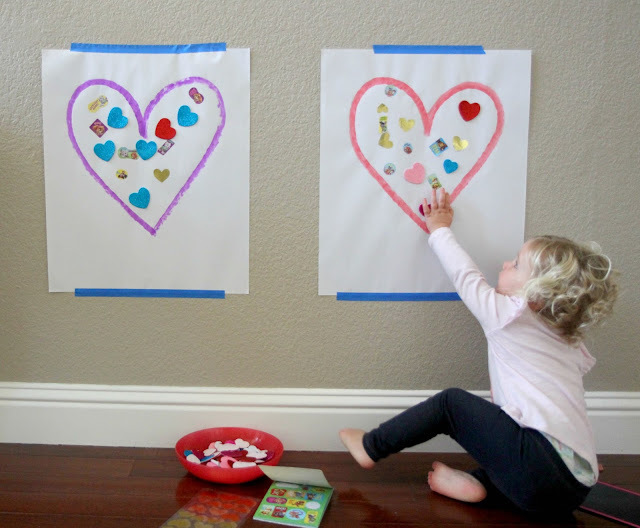 Next, set out your materials and let kids start decorating the hearts with stickers. We only had one rule with the stickers and that was that they needed to stay on the paper! Foam stickers can pull paint off the walls... so we try and avoid putting them anywhere except on paper! One of the reasons that I love this activity is that it can be a multi- age activity! My 7-year-old had fun creating her own sticker heart while the toddler created hers. I'm sure my 5-year-old son would've loved this as well if he hadn't been playing in his room. I loved watching my daughter interact with her big sister and practice asking for help if she needed it as she peeled the sticker backs off. For kids that want to expand upon this, you could also give them access to crayons, markers, watercolors, or other media and see what they come up with! Adding cut paper and glue could turn it into a fun collage art activity! 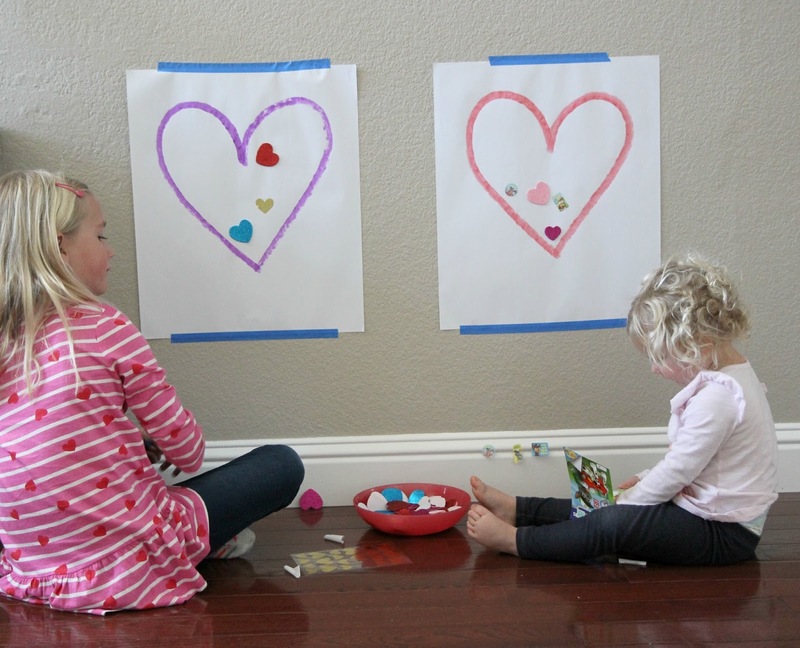 Picking simple Valentine's Day activities for your kids can be such a challenge! I loved that this sticker heart activity was a no-brainer. It was so simple that there was no way we could avoid doing it! 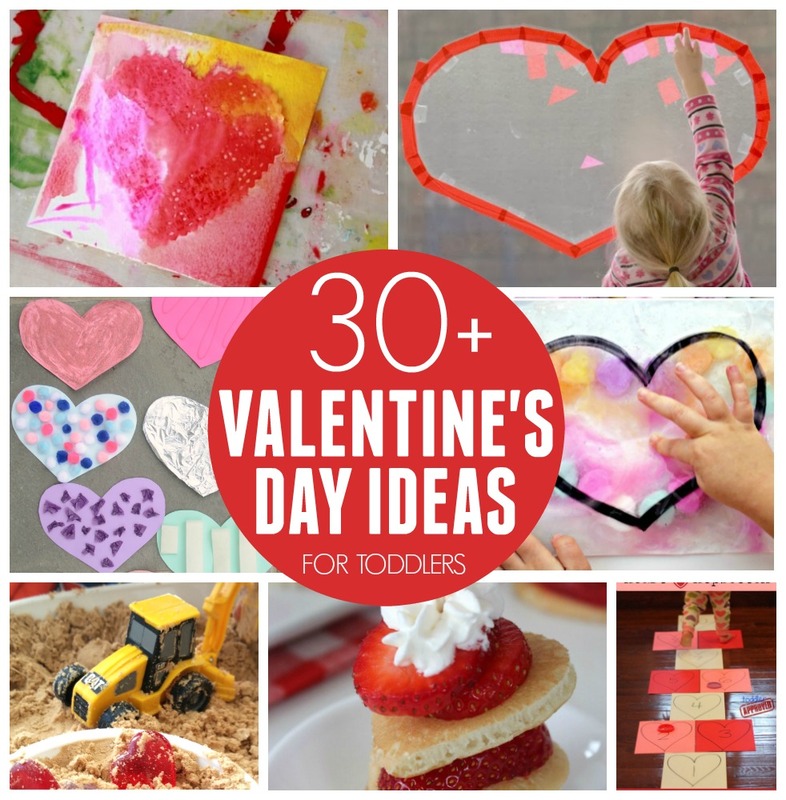 If you want to check our more Valentine's Day crafts and activities, check our post featuring 31+ Valentine's Day Ideas for toddlers!